Home / SKILLS / 3 REASONS EXPLAIN THE IMPORTANCE OF STUDENTS' DISCIPLINE IN SCHOOLS. 3 REASONS EXPLAIN THE IMPORTANCE OF STUDENTS' DISCIPLINE IN SCHOOLS. Meaning of the term Discipline. Discipline is the practice of training people to obey rules or a code of behaviour, using punishment to correct disobedience. Or A state of order based on submission to authority. There fore in Educational institutions Discipline is very important for development of individual individual student and institutions in general. According to my research conducted in Tanzania secondary schools, one of the thing which makes students to fail in examination in some schools is because of the decrease of discipline in schools. 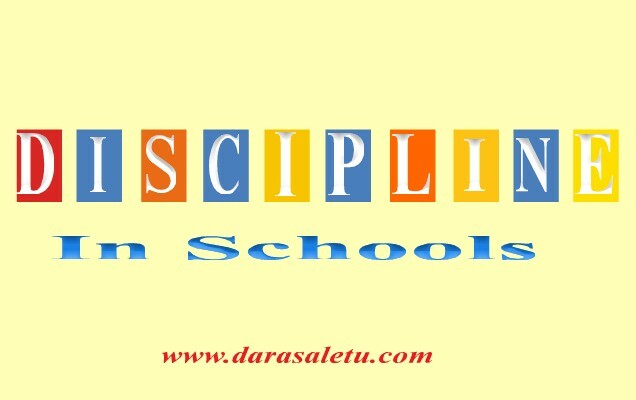 What motivated me to write the importance of DISCIPLINE in schools is because some teachers and other heads takes easy on controlling discipline. The school is the institution which has task where by everyone has its own task, When student obey the rules it reduce the load of task to teachers because even student has its part to fulfill teaching and learning activities. For example According to the research students should participate in self learning by 75% to find out more materials for learning but most of students don't do that even when teacher assign them to find out more learning materials there for this situation increase load to task to teachers to fulfill the remaining percentage in order to make students more competent on the subject. In everything we do time is very important to reach goal on time, in Educational institutions every course of study is arranged on time for example in Tanzania Ordinary level covers four years with their respective content and competence to be covered on time, The goal of covering that content and competence it need the wise use of time and discipline to make sure that goals reached. 3. IT PREPARE STUDENTS FOR THE FUTURE CAREER. 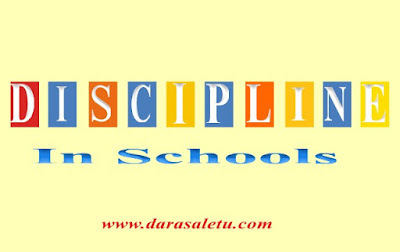 Discipline is important not only in when students is in schools but even for the future career discipline will help them to became successful because any institutions has its own rules to follow. There for students student should be equipped with discipline when they are young for their future career to be successful. The change of the nation start from individual person, family then the whole nation, so don't underestimate the behavior of a single person is school or any institution.